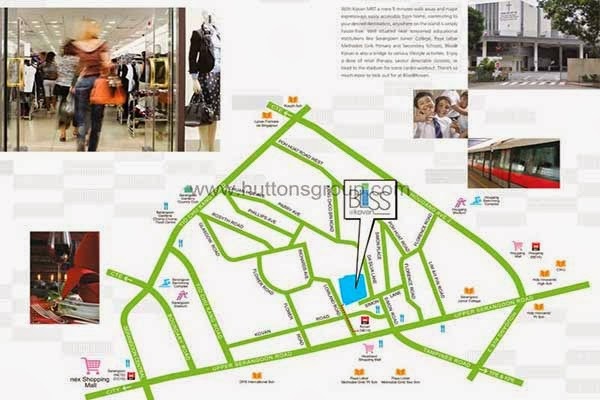 Bliss @ Kovan is ideally located at the central of Simon Lane, Singapore District 19. It is a 5 storey property development that holds 140 mix units of condominiums and penthouses. This alluring residential estate is accessibly close with the leading Shopping galleries in town such as the Heartland mall, NEX Shopping Mall, NTUC and the Hougang Central to let you enjoy your shopping spree at any time. Prominent schools and universities such as the Serangoon Junior College, Hougang Secondary, Rosyth School and Montfort Junior are also just nearby to afford your family with outstanding learning advancement. Transportation is also a hassle-free experience with the MRT stations and major roads nearby such as the Kovan MRT Station, CTE and KPE. Dine out with your family with the famous restaurants and cafes which are just at short distance from the property. Bliss @ Kovan definitely indeed an ideal haven for the family who treasures timeless moments together. Bliss @ Kovan showflat is available for preview by appointment. View brochure or Floor Plans for a feel of this development. *Bliss @ Kovan VVIP Preview is available strictly by Appointment. Showflat opening hours may varies. For opening hours, do call our Sales Hotline at 6100 0877 or register below for your VVIP Preview.